On Sale Now! 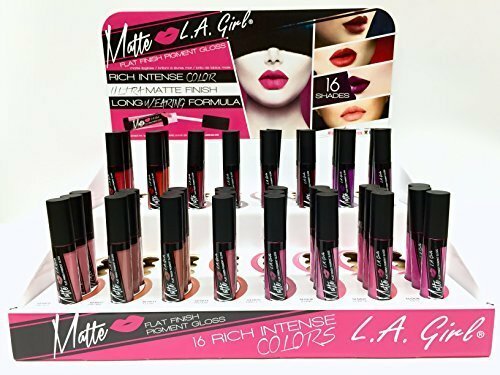 Save 2% on the 96pc L.A.Girl Flat Finish Pigment Matte Lip Gloss Display set of 16 color #GLG831-846 by L.A. Girl at Beauty Sols. MPN: na. Hurry! Limited time offer. Offer valid only while supplies last. Introducing our hottest new lip product - Matte Pigment Gloss. These 16 bold shades provide rich, intense color in a flat finish for all day wear.